This Father’s Day, show your love for your cancer-warrior dad with our gift guide. Whether your dad needs support during treatment or just a good distraction, we’ve got you covered! Check out our shop for more great gift ideas. There is no gift more worthwhile or important than the time you spend with a loved one who has been affected by cancer. If you're far away from your dad, set up a special skype call surprise. If you are fortunate to live close by to your dad, devote the entire day to him. Being able to remind your dad that cancer does not define him - by finding a way to do something he loves, or just by listening to what he has to share, is the greatest gift to dedicate. This chemopack has everything your dad will need to stay comfortable during chemo treatment. It includes a support pillow, candy to ward off dry-mouth and nausea, playing cards and word searches for entertainment, a toiletries case, and a soft-knit cap. Designed by two sisters and their mom who were all diagnosed with cancer, this blanket is made to keep your dad wrapped in warmth and strength during and after treatment. Features 100% anti-pill ultra soft polyester fleece. For the stylish cancer warrior, this classic polo is the perfect gift. The shirt is equipped with a zipper opening on the chest to provide easy access for ports and central lines. Customize this shirt by choosing between blue or green and which side you’d like the opening on. The ultimate site for cancer care packages for men. Choose the package that best fits your dad’s needs and interests! 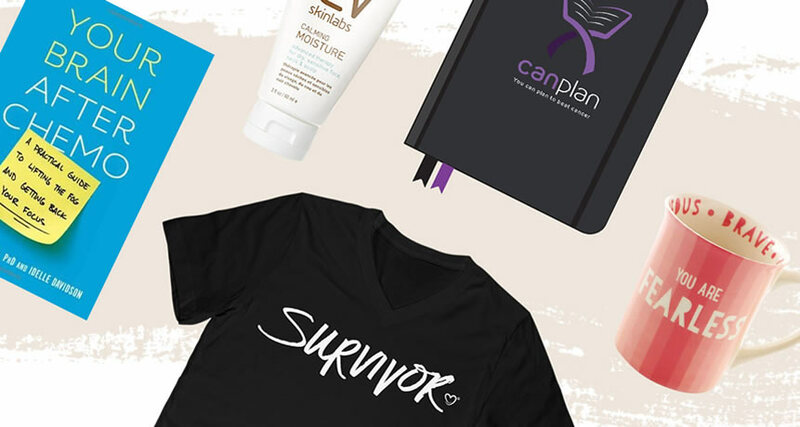 Options range from The Big Queasy Chemo Survival Kit to the Stronger Than Cancer Gym Bag. Cancer treatment and recovery includes a lot of downtime. Help keep your dad entertained by purchasing a subscription to a movie and TV streaming site. Consider starting to watch a tv show together! Try a free 30-Day trial of Amazon Prime and instantly watch thousands of movies and TV episodes. Gourmand World Cookbook Award Winner of Best New Health and Nutrition Book. A great gift for dad’s who love to cook or want to start. This book not only contains over 100 pages of recipes but also has a guide of how to work with your changed sense of taste and appetite - Not to mention it is written by one of our top IHC writers! A DIY basket allows you to customize your gift. Include yours or your dad's favorite movies, popcorn, and candy. Instead of a traditional basket, try using a popcorn bucket! Want to try a new movie? One of Team IHC's favorite action-comedies is Deadpool, whose title character is a cancer survivor himself, since laughter is (one of) the best medicines! Another great DIY basket, this one is for the bookworm dad. Add a kindle if you’re feeling fancy, or some of our favorite book titles we suggest: Astrophysics for People in a Hurry, Modoc, and A People's History of the United States. Don't forget to add a fun bookmark, snacks, tea, and a mug! Remind your dad that he will always be your superhero with these fun adult coloring books! A fun way to unlock your dad’s creative side. Include colored pencils or markers to complete the gift. To all the dads fighting cancer this Father’s Day, and to all of the families that support them, the IHC Team is sending lots of love and support! Don't see anything quite right for your dad? Check out our shop for more great gift ideas. Please note: This post may contain affiliate links. If you purchase from one of these links, you will help support IHadCancer and the free content we share. The cost of the product is not affected. You can learn more about our terms here.